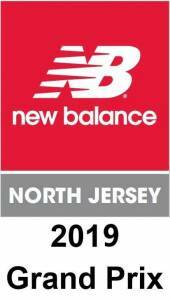 The Ridgewood Run is the premier road race in northern New Jersey and one of the longest running races in the tri-state area. Choose either the 10K, 5K, Road Mile, Fun Run – all or one of them. USATF Grand Prix 500 point event. AWARDS AND PRIZES ARE PLENTIFUL! Finisher’s Medal to all registered finishers of the Ridgewood YMCA Fun Run/Health Walk, 10 years and younger. The Toshiko d’Elia award of $500 to the first female masters Ridgewood resident in the 10K. Presented by the d’Elia-Diestel family. T-shirts will be guaranteed to the first 2000 registrants!